It might surprise some to learn that Thomas was not the only “doubting disciple” immediately following Jesus’ resurrection. Do you recall what happened when Mary Magdalene, the first person to whom Jesus appeared, went to alert the mourning apostles of Jesus’ empty tomb and resurrection? When the apostles “heard that He was alive and had been seen by her, they did not believe” (Mark 16:11, emp. added). According to Luke, the words of Mary Magdalene and the women who accompanied her seemed to the apostles “like idle tales” (24:11) or “nonsense” (24:11, NASB). Later, when the two disciples on the road to Emmaus reported to the apostles how Jesus had appeared to them as well, the apostles “did not believe them either” (Mark 16:13). When Jesus finally appeared to the apostles (not including Thomas) on the evening of His resurrection (John 20:19), He questioned their “doubts” (Luke 24:38) and “rebuked their unbelief and hardness of heart, because they did not believe those who had seen Him after He had risen” (Mark 16:14). Then, when Jesus appeared to the apostles eight days later, this time with Thomas present, Jesus instructed him to “not be unbelieving, but believing” (John 20:27). Those closest to Jesus during His ministry initially doubted His resurrection from the dead and were justifiably rebuked for their unbelief. Although many of us likely would have been guilty of the same doubts, still, the apostles should have believed the witness of Mary Magdalene as soon as she testified to the empty tomb and risen Savior. Believers today, however, must be careful not to misinterpret Jesus’ rebukes of unbelief as promoting the popular notion that Christianity is an emotion-based, feel-good religion where evidence is unavailable or unnecessary. Since the Bible repeatedly testifies that the faith of Christians is grounded in truth, reason, knowledge, and evidence (Romans 1:20; Psalm 19:1-4; John 5:31-47; Acts 1:3; 26:25), some wonder why Jesus rebuked the apostles for doubting His resurrection prior to seeing Him alive (Mark 16:14; cf. Luke 24:38). Had Jesus expected His apostles to have faith in His resurrection without proof? And why did Jesus tell Thomas, “Blessed are those who have not seen and yet have believed” (John 20:29, emp. added)? 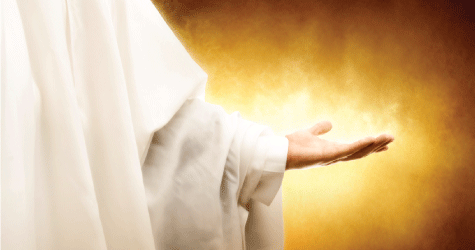 Was Jesus commending an unverifiable, fickle faith? The fact is, neither Thomas nor any apostle was rebuked for wanting evidence of Jesus’ resurrection. They were rightly rebuked, however, (1) for doubting the credible evidence they had already received, and (2) for demanding more evidence than was necessary for them to have solid faith in the risen Savior. The same Man Whom Peter confessed was “the Christ, the Son of the living God” (Matthew 16:16); the same Man Whom the apostles had seen raise Lazarus from the dead (John 11:43-44); the same Man Whom they saw transfigured (Matthew 17:5-9); the same Man Who had worked many amazing miracles in their presence (John 20:30); the same Man Who foretold precisely Peter’s triple denial (Matthew 26:34,75); the same Man Who accurately prophesied His own betrayal, scourging, and crucifixion (Matthew 20:18-19): this same Man repeatedly prophesied of His resurrection, even foretelling the very day on which it would occur (John 2:19; Matthew 12:40; 16:21; 17:22-23; 20:18-19; 26:32). So well known were Jesus’ prophecies of His resurrection from the dead on the third day that even His enemies were aware of them. In fact, the “chief priests and Pharisees gathered together to Pilate, saying, ‘Sir, we remember, that while He was still alive, how that deceiver said, “After three days I will rise.” Therefore command that the tomb be made secure until the third day, lest his disciples come by night and steal Him away’” (Matthew 27:62-64). So why did Jesus rebuke His apostles for their unbelief following His resurrection? Was He implying that they should have behaved like simpletons and believed everything they ever heard from anyone? (“The simple believes every word, but the prudent considers well his steps”—Proverbs 14:15.) Not at all. Jesus had every right to rebuke His apostles’ unbelief, first and foremost, because they refused to believe His Word (cf. Romans 10:17). They had seen Him raise the dead. They had witnessed His perfect life. They had heard His consistent words of Truth, including His repeated and accurate prophecies of various matters, including His betrayal, arrest, scourging, and crucifixion. They had every logical reason to believe what Jesus had prophesied about His resurrection. Everything they had ever seen and heard from Jesus was pure, right, and true. However, rather than expect a risen Redeemer on Sunday morning, such an idea “appeared to them as nonsense” (Luke 24:11, NASB, emp. added). Rather than traveling to Galilee and searching for the living Lord as soon as the Sun appeared on the third day (Matthew 26:32), they remained in Jerusalem behind closed doors “for fear of the Jews” (John 20:19). Jesus wanted His disciples to understand about His death and resurrection. He told them: “Let these words sink down into your ears, for the Son of Man is about to be betrayed into the hands of men” (Luke 9:43, emp. added). He desired for them to have a sincere, strong, evidence-based faith. Sadly, fear, preconceived ideas about the Messiah and His kingdom, and spiritual blindness (Luke 9:44; cf. 2 Corinthians 4:4) initially interfered with the apostles’ belief in His resurrection. When Jesus told Thomas, “Blessed are those who have not seen and yet have believed” (John 20:29), was He condoning a careless faith? Was He advancing the idea of an emotion-driven, feel-good religion? Should we expect Christians living 2,000 years this side of the resurrection of Christ to have a reasonable faith in the risen Savior? If, unlike Thomas and the rest of the apostles, Jesus has never appeared to us, how can we expect to have a fact-based faith? A reasonable faith in Jesus’ resurrection is, likewise, based upon a mountain of credible testimony. Just as credible testimony (and not first-hand knowledge) has lead billions of people to believe, justifiably so, that Alexander the Great, Napoleon, and George Washington were real people, millions of Christians have come to the logical conclusion that Jesus rose from the dead. Nineteen-hundred-year-old eyewitness accounts of Jesus’ resurrection exist in the most historically documented and accurate ancient book in the world—the New Testament. The event was foreshadowed and prophesied in the Old Testament (Psalm 16:10; Jonah 1:17-2:10; Matthew 12:40). Though very serious preventative steps were taken to keep the lifeless body of Jesus buried (Matthew 27:62-66), the tomb was found empty on the exact day He promised to arise. The body of Christ was never found (and, no doubt, first-century skeptics, especially the impenitent Jews who put Him to death, would have loved nothing more than to present Jesus’ dead body to early Christians). The once fearful and skeptical disciples quickly transformed into a courageous, confident group of Christians who suffered and eventually died for their continual belief and teachings regarding the resurrected Lord. Hundreds of early Christians were able to testify to having seen Jesus firsthand after His resurrection (1 Corinthians 15:5-8). Tens of thousands of once-skeptical Jews, not the least of which was Saul of Tarsus, examined the evidence, left Judaism, and confessed Jesus Christ as the Son of God (Acts 2:41,47; 4:4; 5:14; 6:7; 21:20). What’s more, these same Jews changed their day of worship from Saturday to Sunday (Acts 20:7; 1 Corinthians 16:1-2). As with evidence for the existence of God or the inspiration of the Bible, the cumulative case for the resurrection of Christ from credible testimony lies at the heart of a fortified faith.